Lost Betrayal is coming out March 5th on Amazon! I’ve got a couple days before my next interview so I thought I’d share some news in the meantime. 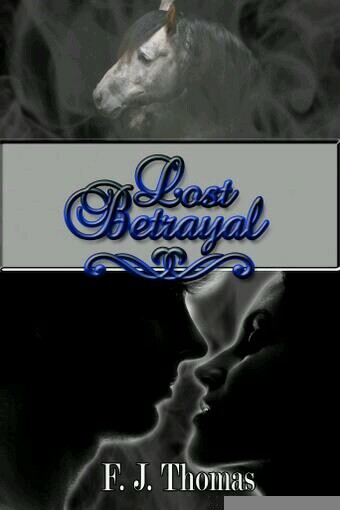 Solstice Publishing is releasing my debut romance novel, Lost Betrayal, on March 5th on Amazon in Kindle format. This is a modern western romance with a few flames thrown in. Check out my Facebook to find out the buy link and keep up with news on my next book. You can also follow me on twitter. UPDATE – Lost Betrayal was released a little early! You can download it on Amazon. Probably one of the biggest things that is important to me in writing this type of book is authenticity. If nothing else, when it comes to horses this book is the real deal. I eat, sleep, breathe horses. You can’t talk to me too long without it wiggling into the conversation somehow. I’m not one of those starry eyed horse women that think all horses are my friends. I’m a woman that rides colts, loves working the most difficult horses even when I get bucked off, and that is always striving to see how far they can go. I do my own feeding, saddle my horses, and clean my own stalls….well, when my husband is running short or time or we’re at a show. By the way, to give you some background on the book, it took me ten years to write Lost Betrayal. I got the idea years ago after watching the news about a really bad tornado. The last couple of years have spurred me on as we had some devastating tornadoes closer to home in east Tennessee, northern Georgia and Mississippi. One fact that haunts me more than anything is that in a disaster large animals are often the last to be rescued. Anyone can rescue a person or a small animal. Not just anyone can rescue a thousand pound animal that’s scared to death that can’t be reasoned with. It takes a certain set of skills that are not that common. Also, people and small animals get more press time than anything so their needs are met quickly. Large animal needs often go unmentioned to the general public but they’re just as important. Next week I’ll be talking with western author, Tell Cotten about how ranching and writing. In the meantime you can read about his newest book, Cooper on his blog. I’ll also be interviewing romance writer, Stephanie Berget about barrel racing and her books. You can check her out on her website. So stay tuned! Can’t wait for you to find out about these folks! This entry was posted in Books, Horses, Writing and tagged amazon, Betrayal, blog, books, Cooper, disaster, ebooks, facebook, farm, interview, kindle, Lost Betrayal, modern, romance, Solstice, Solstice publishing, Stephanie Berget, Tell Cotten, tornado, twitter, western, writing.